Feed water to membrane systems often has been treated with chlorine to retard microbiological growth prior to the membrane separation process. This chlorine, however, can irreversibly damage many thin film composite membranes. 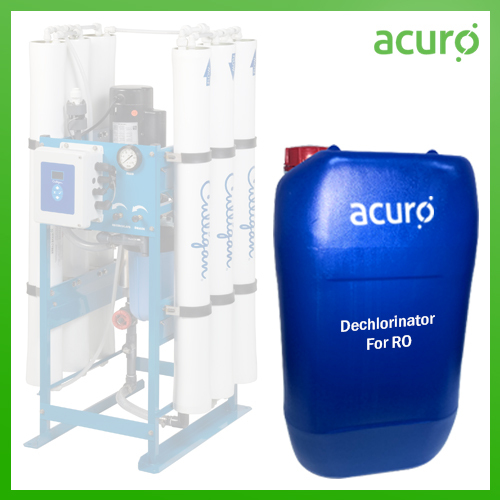 Dechlorinator for RO is a blend of high performance synthetic compounds, used for de-chlorination of RO feed water. Protects polyamide membranes from degradation. Protects RO membrane from the potential oxidation which can be caused by free chlorine.